Ashton Kutcher, who has replaced Charlie Sheen in Two and a Half Men, has become the highest-paid sitcom star. Kutcher, who plays a heartbroken Internet billionaire Walden Schmidt in the show, will earn $ 700,000 per episode ($15.4 million for the season) as Sheen's replacement on the hit CBS series, reports the New York Post. According to TV Guide, Kutcher's take-home Men scratch is more than veteran co-stars Jon Cryer and Angus T Jones, and it's a lot less than the $ 1.2 million per episode Sheen was earning before he imploded. 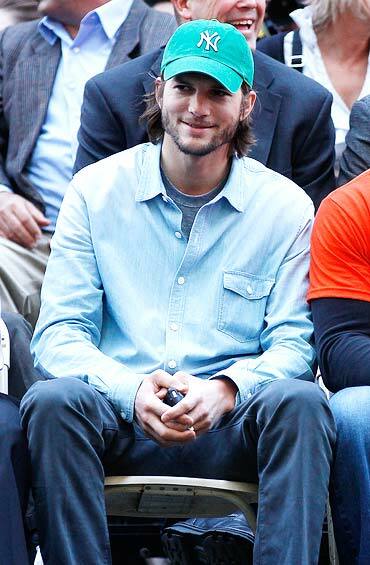 In an interview for Details magazine, the 33-year-old Kutcher said he had never met the man he's replacing. 'I've never met him in my life. But, you know, he sent me congratulations and wished me well. Via Twitter,' he added. Blake Lively is said to have followed the advice of best-selling dating manual The Rules by Ellen Fein and Sherrie Schneider in 1995, to win over Leonardo DiCaprio. Following the rules of attraction, the 23-year-old American actress worked very hard to win the Titanic star, by not calling him, making him jealous and acting 'busy'. 'Blake loves dating book The Rules and has been following it to the letter,' the Daily Mail quoted a friend of Lively as telling Now magazine. 'She knew Leo could have any girl he wanted and she figured she had to stand out from the crowd,' the friend added. The Gossip Girl star even made sure that DiCaprio, 36, broke up with his supermodel girlfriend Bar Refaeli first before dating her. 'Blake told him he had to break up with Bar before she'd even go on a date with him, so he did. She's making him work for it -- and he's fallen hard for her,' the source added. Media mogul Simon Cowell has become the highest earner on American TV with expected earnings of $75 million per season of The X Factor. Cowell, who will launch the US version of his reality TV show later this year, will be earning more than fellow judges Nicole Scherzinger and Paula Abdul, who will take home $1.5 million and $2.5 million respectively. 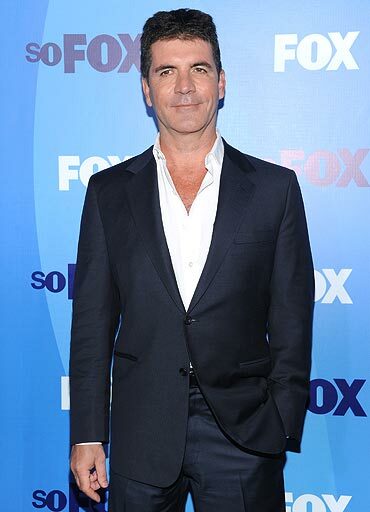 Cowell's expected earnings also include his fee as the producer of the hit reality show.